Take Action! Currently House Bill 491 is in House Natural Resources & Public Lands Subcommittee. Florida sportsmen should contact their state representatives and ask them to vote NO on House Bill 491. 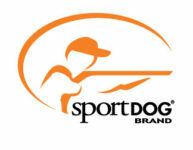 Members can use the Sportsmen’s Alliance Legislative Action Center to contact their state representative. In Florida, Rep. Amy Mercado (D-Orlando) has proposed legislation that would place a ten-year ban on black bear hunting in Florida. House Bill 491 also requires bear-proof garbage cans, and restricts burning in habitats that could impact bears. The bill also would commission a study on the effectiveness of non-lethal means for the management of bears. In 2016, the Florida Fish and Wildlife Conservation Commission paused plans to have a hunting season for bears after anti-hunting groups pressured both commissioners and legislators. Taxpayers would also be on the hook for at least $1 million to pay for bear-proof trash cans, which local governments would then apply for funding from. HB 491 also mandates an end to any timbering of palmetto and oak trees in state forests. Rep. Mercado claims that bears will avoid garbage if there are more food sources available naturally.